More customers, more money, more loyalty, and more freedom. 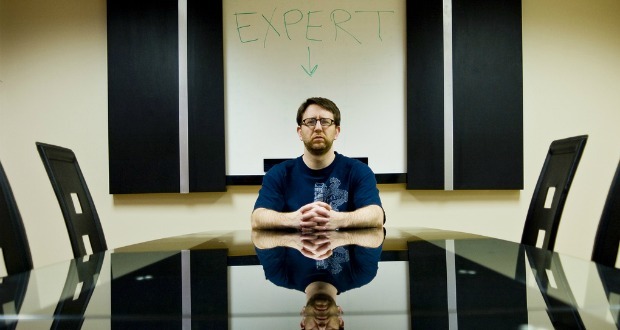 Now do you see the value in branding yourself as an expert in your field? 2) Experts command higher rates. Take two CPAs, identical in every way, except for their branding. One is a typical, ho-hum accountant. The other is an exciting, dynamic expert in his field. Which do you think can charge higher prices? Obviously the expert–because most customers are willing to pay more money to work with the best in the business. Think about the last time you bought sports gear. Were you willing to pay more for a brand like Nike or Reebok than you would have for a generic brand? The same concept applies here. 3) Experts build customer loyalty. We mentioned earlier that you shouldn’t go after customers looking for cheap service. Why not? Because as soon as they find a lower price somewhere else, they will dump you and move on. When you brand yourself as an expert, customers choose you because of your qualifications and the quality of your service. These are the types of customers with whom you can build a real relationship–and relationships are the key to inspiring loyalty. 4) Experts can set trends. Let’s say you want to introduce a new business model to your market–for instance, a different fee structure for your wealth management firm. It looks a bit different than what you’ve done before, and it’s different than what your competition offers. If you’re a “no-name” business, chances are high that your innovation is ignored, because you don’t fit the description that your market is looking for. As an expert, your market will assume you know what you are doing. Expert status gives you the freedom to innovate without alienating your target customers. JW Dicks (@jwdicks) & Nick Nanton (@nicknanton) are best-selling authors that consult for small- and medium-sized businesses on how to build their business through Personality Driven Marketing, Personal Brand Positioning, Guaranteed Media, and Mining Hidden Business Assets. They offer free articles, white papers, and case studies at their Web site. Jack and Nick have been featured in The New York Times, The Wall Street Journal, USA Today, Newsweek, FastCompany.com, and many more media outlets.